A luxury car is becoming more affordable and achievable than ever before. In fact, it is now possible to buy a luxury car for under $50K and therefore under the luxury car tax? It really is possible to buy an Audi, BMW or Mercedes-Benz for under $50k and not incur the luxury car tax? An entry-level luxury car from the three main prestige brands, Audi, BMW & Mercedes-Benz is now more affordable than ever. From design, internal finishes, technology and performance it is possible to own and drive a prestige car for under $50K. In the past, prestige cars in the sub $50K models didn’t deliver value for money. Particularly when comparing them to mainstream brands. Although they did have the much sort after badge! This is no longer the case. In addition, luxury car manufacturers traditionally were not very competitive with pricing. Again, this is no longer the case, because of the very competitive market that exists in car sales currently. Therefore buying a prestige car under the luxury car tax threshold is achievable. There are other models that can be bought for less than $40K however these are our picks for achieving great value in a luxury car sub $50K price range. These small hatch & SUV crossovers are filled with technology, design & safety features whilst appealing to a cross-section of buyers. For example, we recently assisted clients with the all-new model MB A200 with a saving of approximately $4,500 on Registered Retail. 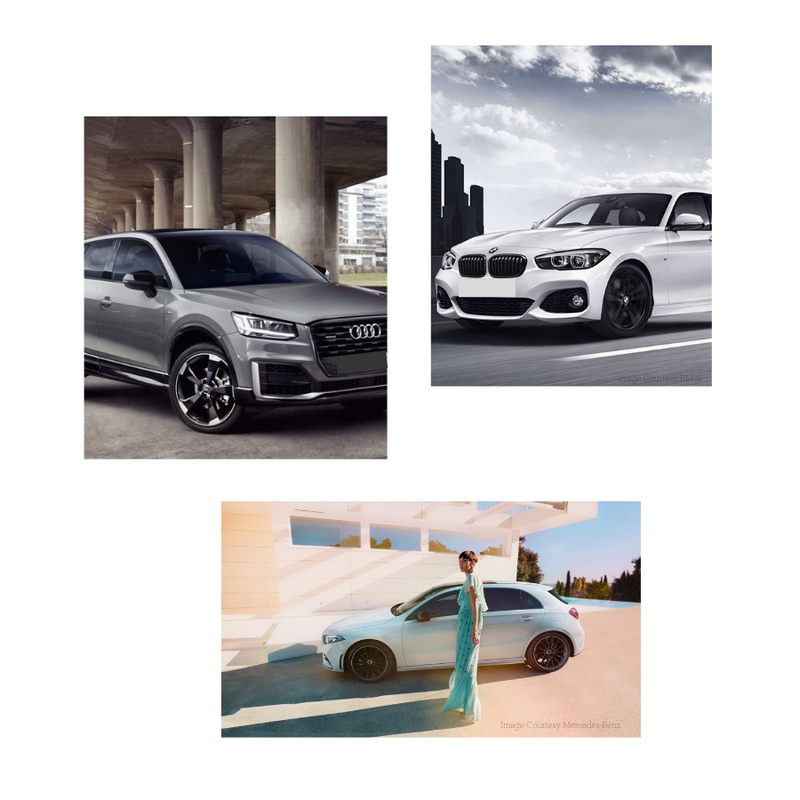 An Audi Q2 with a saving of $8,500 and similar for a BMW 1 Series. For our clients, the cost of each of these cars came in a touch over or below $40k. Pricing is dependent on the make and model. However, it is not just about the price. Using a service like a professional car brokering or car buying service assists and guides you through the whole car buying process to achieve the best value over the life of the car. Remembering a car is a depreciating asset. • The price of the car. • A trade price if there is one. • Payment terms for the car whether by cash or as most people do, finance. • Finally, there are additional benefits to many people who qualify for corporate pricing which many clients are not aware of. Whilst individuals with a lot of time and experience in buying cars could possibly achieve similar results. Generally, most people only buy a car once every 3 to 5 years. Typically negotiating is not an everyday skill people feel comfortable with. This is where our service is so beneficial. Negotiating is what we love and do every day. Also keep in mind buying a car is usually the second biggest purchase besides a home. Like anything being equipped with the necessary knowledge is half the battle. Therefore if owning a luxury car is on your bucket list but you are not sure if it is within your budget we would love to talk to you. To find out about how we can help you buy your dream car for less contact us via the form below. We love to chat, so please give us a call to speak with one of the team. If it's after hours, that's ok. Looking for more information? Leave your details and one of the Red Plum Automotive Team will call you back to begin the Red Plum Experience. Please complete the fields below and one of our team will be in touch to begin your Red Plum Automotive experience.